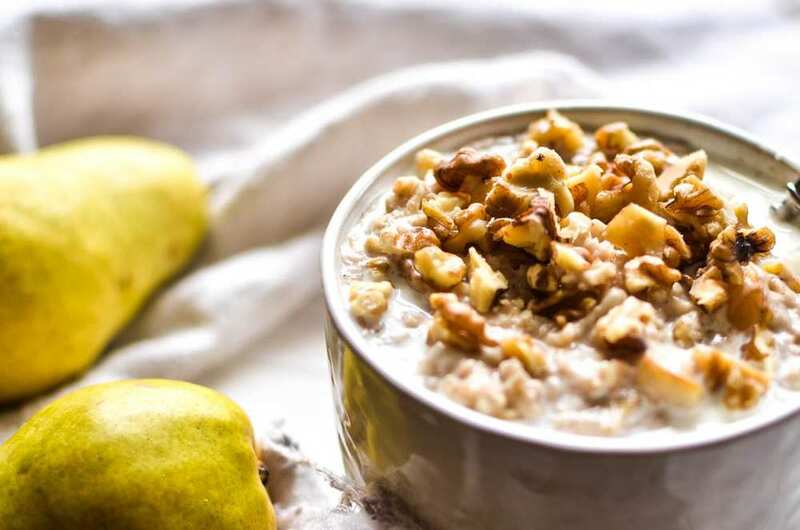 Combine oats, water, milk, spices, vanilla, chopped pears, and salt in a saucepan. Bring to a boil then reduce the heat to low and simmer for a few minutes until thickened and the oats are cooked through. Serve with extra milk, chopped walnuts, and honey or brown sugar for sweetness.